Electronic cigarettes are electric inhaler devices that vaporize a liquid solution into an aerosol mist, stimulating the act of tobacco smoking. While these cigarettes are no longer marketed as smoking cessation aids or tobacco replacement in most countries, they are a healthier alternative. These cigarettes do not contain the thousands of harmful chemicals and carcinogens that traditional tobacco based cigarettes do. The liquid solutions used in them also come in a wide variety of different flavours from cherry to vanilla, and even tobacco or mint flavour. Typically, electronic cigarettes are similar to tobacco cigarettes in both physical design and nicotine release, which may approximate the same amount of nicotine as a tobacco cigarette. While other types of e cigarettes do not resemble conventional cigarettes at all, and the smoker can choose the amount of nicotine contained. In fact, some users may choose to use no nicotine whatsoever with these cigarettes. There are many benefits to smoking electronic cigarettes. Not only are they cheaper to purchase in the long run, (the only cost after the first initial purchase is to refill the liquid cartridges), they are also odourless flameless, and smokeless, which makes it easier for smokers to light up anywhere at any time. Another advantage that many enjoy is the fact that there is no second-hand smoke, no lingering smoke smell, and no risk of burning furniture or carpet, and even better? You don’t need an ashtray or a lighter. Unlike other nicotine alternative products, e cigarettes taste and feel the same as real cigarettes. They do not contain tar, carbon monoxide, or the 4,000 harmful and cancer causing chemicals and additives that are found in traditional cigarettes. You won’t have to worry about staining your teeth or having bad breath like you would with smoking tobacco cigarettes. You also won’t have to worry about disposing of butts, which makes them more convenient and leaves less of an impact on the environment. Another reason many smokers prefer electronic cigarettes is the variety of flavours, strengths etc. to choose from. Liquid refill cartridges cost as little as £7.99 for a pack of 10 cartridges, making them ideal for those smokers who are living on a tight budget. 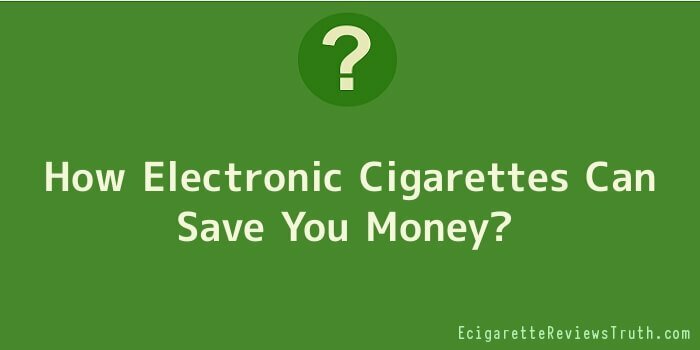 Recent studies have suggested that a person who smokes 10 tobacco cigarettes per day will save about £800 a year by switching to electronic cigarettes.